IREDELL COUNTY, NC (WBTV) - Deputies in Iredell County arrested two people accused of kicking a man out of a car before robbing him Tuesday. Deputies say they arrived on Mazeppa Road and spoke with the victim who said he met up with Christopher Minier and his girlfriend Bethany Gibson when they gave him a ride. They were headed towards a home in Mooresville when Bethany allegedly pulled into a parking lot. Deputies say Christopher got out of the passenger side and got into the back seat with the victim before taking his money and pushing him out of the car. Deputies issued arrest warrants for both Minier and Gibson. Officials say they received information on their location on Mount Ulla Highway where they were both arrested. 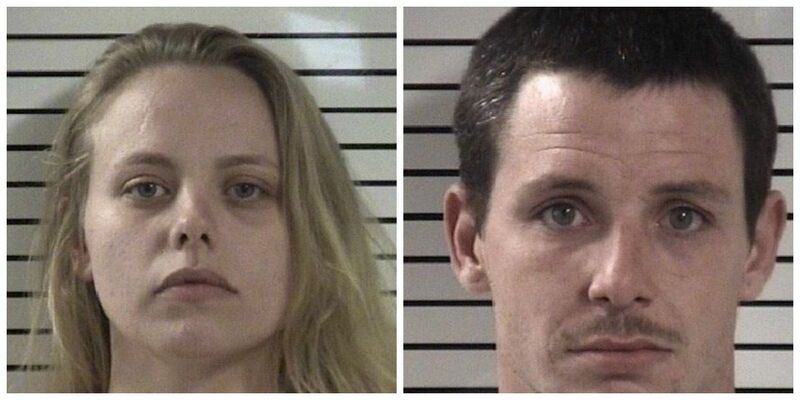 Gibson and Minier were taken to the Iredell County Detention Center. Minier was charged with felony common law robbery. Gibson was charged with felony aid and abet common law robbery.